We got a little creative! We got a little creative with some beaded conchos. 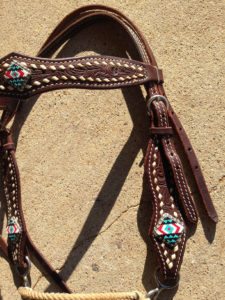 Cowboy Classic Saddlery makes saddle and tack.